Purslane (Portulaca oleracea) is a hearty annual succulent that grows well in most conditions. In some gardens, this plant is considered a weed thanks to prolific seeding and its ability to regrow from cut roots or stems. However, purslane is often grown intentionally in gardens for its leaves – to be used in salads – and it's easy to find ornamental varieties. 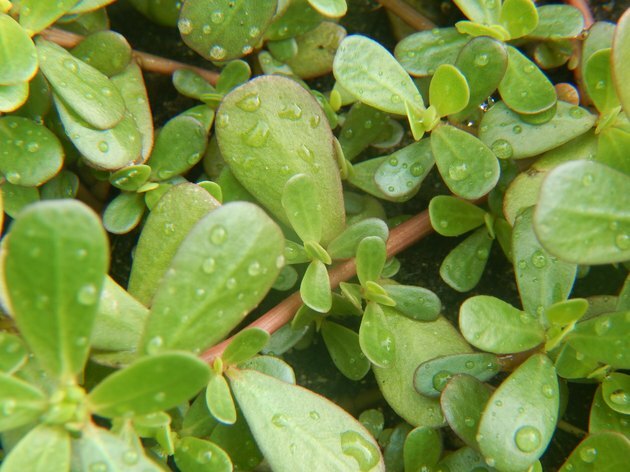 With the right techniques, as well as some care and attention, you can enjoy home-grown purslane without infesting your garden in the process. Purslane grows best in fast-draining soils with a lot of sand and loamy organic material. The seeds of this plant have a high germination rate but they sprout late in spring compared to other plants. Purlsane's seeds germinate and begin to grow when the soil temperature reaches roughly 60 degrees Fahrenheit. It produces small, colorful flowers that begin growing several weeks after the plant germinates. The seeds mature and are ready to disperse roughly three weeks after the first flowers begin to develop. Adding taller plants to create partial shade around your purslane encourages it to grow taller with fewer leaves, but purslane will die out and fail to thrive in heavy shade. Partially shading your purslane is beneficial for areas with limited horizontal space and helps emphasize its flowers. Purslane you plan to harvest will do best in direct sun where it adopts a low and spreading habit with thick foliage. Purslane is vulnerable to frost damage and should be covered to protect it from early or late frosts in fall and spring. Purslane grows best with regular watering. Allow the soil to partially dry out before you water it so the roots are not kept wet. You can quickly check the moisture of the soil by inserting your finger into the soil up to your knuckle. 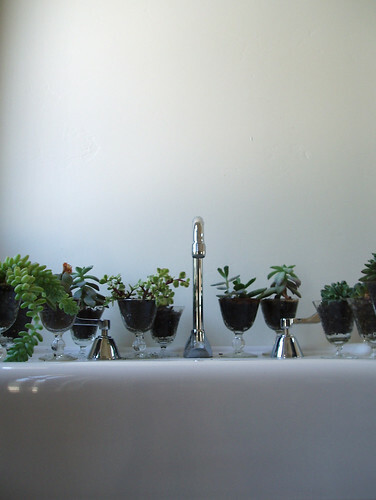 If the soil within 3 inches of the surface feels dry, it is time to water your plant. Use enough water to thoroughly wet the soil but avoid saturating it to reduce the growth of damaging fungi. Purslane can grow successfully without fertilizer but applying a water-soluble 20-20-20 fertilizer to your purslane weekly encourages healthy growth and flower production. A solution of 2 tablespoons of 20-20-20 dissolved in 1 gallon of water provides enough fertilizer to treat 4 square feet of garden bed. Check the package instructions because rates vary by brand. Purslane is a vigorous plant rarely affected by diseases or pests except for purslane sawfly and the portulaca leaf-mining weevil. The larval form of purslane sawfly looks like a caterpillar and can be picked off of the plants by hand. Severe infestations of these pests can kill the purslane. Adult sawflies emerge from the soil in late spring and lay several batches of eggs during the summer. Portulaca leaf-mining weevils are grublike in appearance and burrow into the leaves of purslane, visible below the leaf's surface. Checking your plants regularly and removing pests or infested leaves when you see them is the best way to control these pests. Purlsane that starts out as a decorative or edible plant in your garden can spread and begin competing with other plants if it is not kept under control. Purlsane seed pods contain numerous small seeds that spread within 14 to 16 days of the flowers opening their petals. These seeds are dispersed by wind, water and animals and can remain viable in the soil for years. Prevent purslane from spreading out of control by pinching off its flowers as soon as seeds begin to develop.